Test your skills on the par 72 championship golf course at Johnson Ranch. This course will challenge you with dramatic elevation changes, strategically placed bunkers, blind tee and approach shots as it meanders around the mountains. 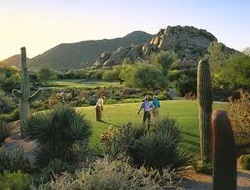 There are many more courses available within a 30 minute drive from Magma Ranch. Truly a golfers paradise! 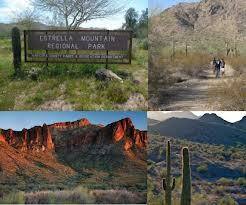 San Tan Mountain Regional Park is a short Drive East. Tonto National Forest (the largest park in AZ) is also less than 30 minutes away to the West, with unlimited hiking opportunities. Wild West Adventures: Visit the Raw Hide Ranch in Maricopa, Old Town Scottsdale, or the Old Mining Ghost Town at Goldfield, you'll feel like one of the Cowboys or Saloon Gal's of old. From a gun fight at 'High Noon', to Buck Board and Pony Rides, Train Rides, and one of the Best Restaurants around, you'll have fun learning about the Old West from some of the meanest hombres around. Be careful, they might even put you in 'jail'! Visit the Queen Creek Olive Mill for over 50 different varieties of Olive Oil sold, at one of the nicest gift shops in the area. The Casa Grande Ruins are just about 30 minutes to the South and you can catch a glimpse of how the original Arizona Natives lived. 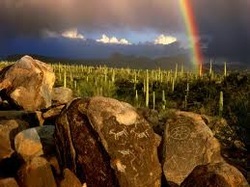 Tucson is just a short drive further and offers days of outdoor desert adventures in the breathtaking Saguaro National Park. The Grandest of all the Canyons is just about 3 hours away and you can drive up to Williams and catch the Grand Canyon Steam Train (2 1/2 hours) to get you to the rim of the Canyon, on the way back be sure to see the beautiful Red Rocks in Sedona, and Slide Rock.